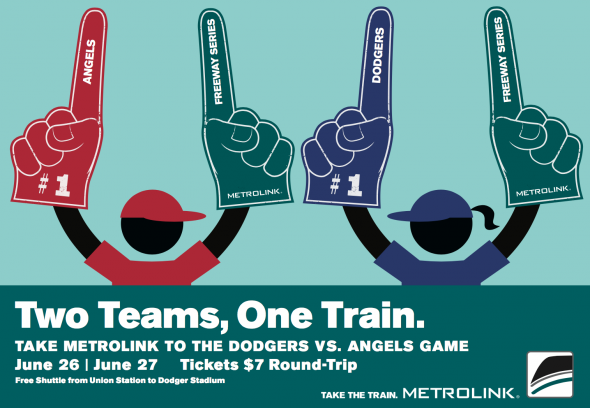 Metrolink is offering special $7 round-trip tickets on the Orange County Line from Oceanside to L.A. Union Station next Monday and Tuesday as the Dodgers take on the Angels at Dodger Stadium. From Union Station, you can hop on the Dodger Stadium Express to get to the game. The cost to ride the train is $7 round trip for adults; $6 for senior/disabled/Medicare, and $4 for youth. Kids under 5 ride free. 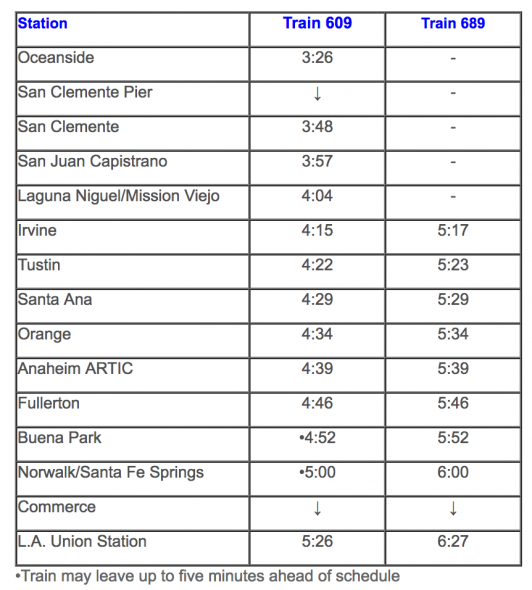 Metrolink trains will depart one hour after the last pitch. If there are extra innings, the train will depart no later than 11:30 p.m.
For more information on Metrolink train schedules, click here. For more info on Dodger Stadium Express service, click here. The Rail Series special train service is a joint demonstration project made possible in part by the Clean Transportation Funding from the Mobile Source Air Pollution Reduction Review Committee (MSRC). Exactly. And let’s bring back the Dodger Trolley as well!